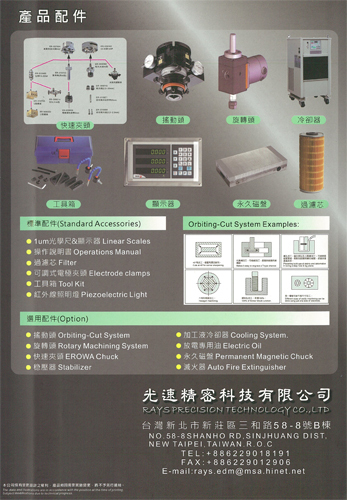 RAYS PRECISION TECHNOLOGY CO., LTD.
1.Newly developed electric control system enables the unit to work on various materials as brass, graphite, tungsten etc. 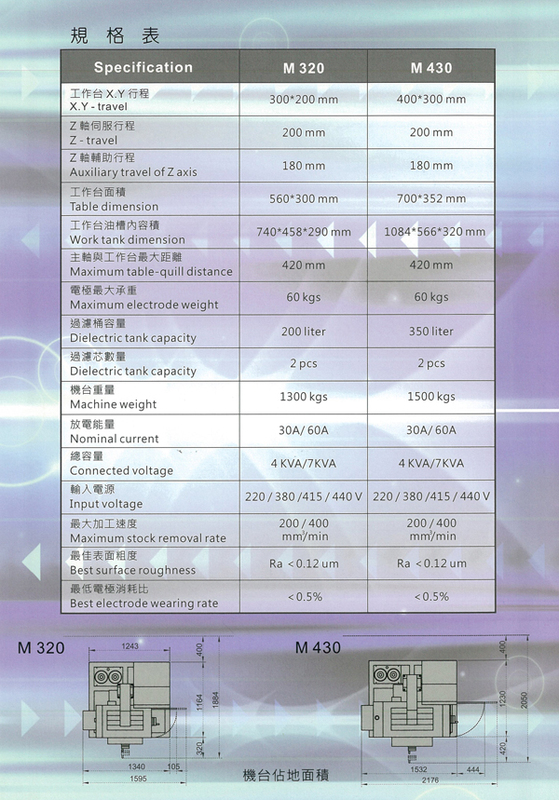 2.Three-axis linear scale (1µm) with digital display. 3.Executes both the Metric and English systems ; switchable between absolute and relative coordinate. 4.Discharge circuit for ultra-low electrode wear and fast dressing. 5.Achieves optimal (Ra<0.12µm) surface roughness. 7.Handles deep-hole and large-area machining. 9.High-precision switch knob that is stable, durable, with low malfunction, and easy to maintain. 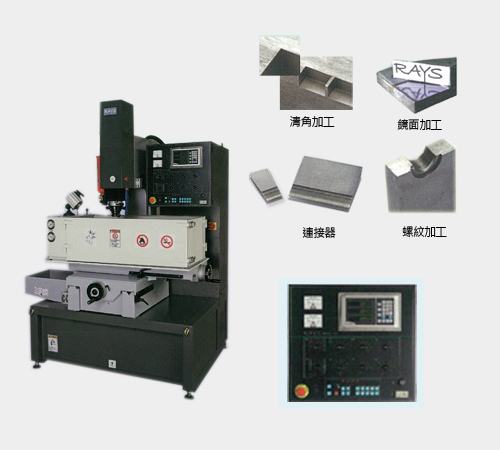 11.With Orbital cutting system , Rotary system for better machining.